Does FlowHeater Read Excel based on Cell ID? TOPIC:	Does FlowHeater Read Excel based on Cell ID? 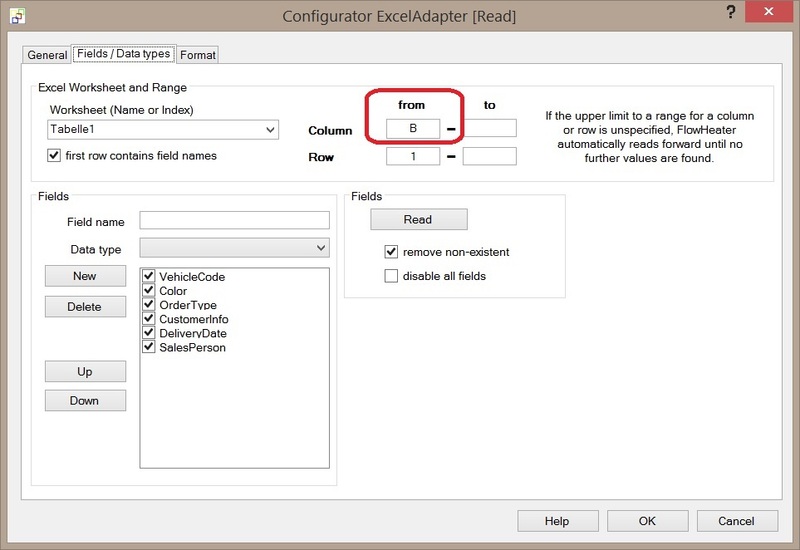 The Excel Adapter reads first the range you defined in Excel Configurator. In your case you have to use the Excel Column “B” instead of “A”. Afterwards from this range the column index is used to address the needed columns. Hope this helps. Sorry, I’m just a bit confused. For me it´s not clear what you want to do? 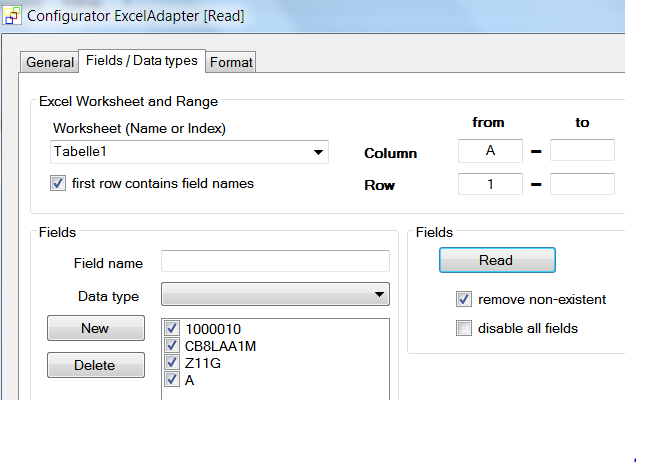 Could you please post your used definition files including your modified example excel files? It is the same definition file I sent earlier. May be the other way to ask the question is: Under what condition NoColumnName will flag out? 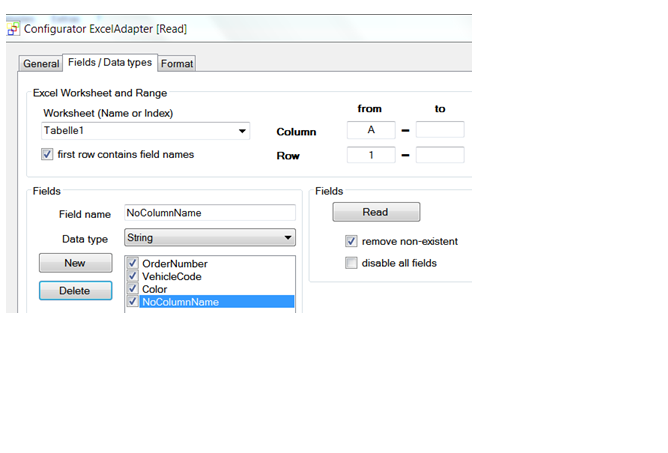 Why Flowheater read the second row for field information when Column A has no data? You have to define the range from B-G. In this way NoColumnName will disappear. FlowHeater needs to read always a specific range. In case your first column sometimes doesn’t contain data you need to define the end column too. With this you deactivate the automatic column detection. Perhaps this was the confusion?